The Danish wind park pioneer’s successful $16 bln IPO and broad shareholder support for the German utility’s retreat from fossil power show investors finally take renewables seriously. They have every reason to do so: climate change goals call for a vast rise in investment. Shares in Danish utility DONG Energy started trading on June 9 after an initial public offering that valued the company at 107 billion crowns ($16.4 bln). The state-controlled group is the world’s biggest developer of offshore wind farms, accounting for more than a quarter of total installed capacity. The shares opened 9 percent above the initial price of 235 Danish crowns. They were trading at 258.60 crowns at 0930 BST. DONG did not issue new shares. It listed a 17.4 percent stake in the company for 235 crowns a share, slightly above the mid-point of the price range of 200 to 255 crowns . On June 8, 99.68 percent of E.ON shareholders backed the group’s plans to spin off its conventional energy business into a separate company named Uniper. “We intend to undertake the largest transaction of Europe’s recent industrial history. 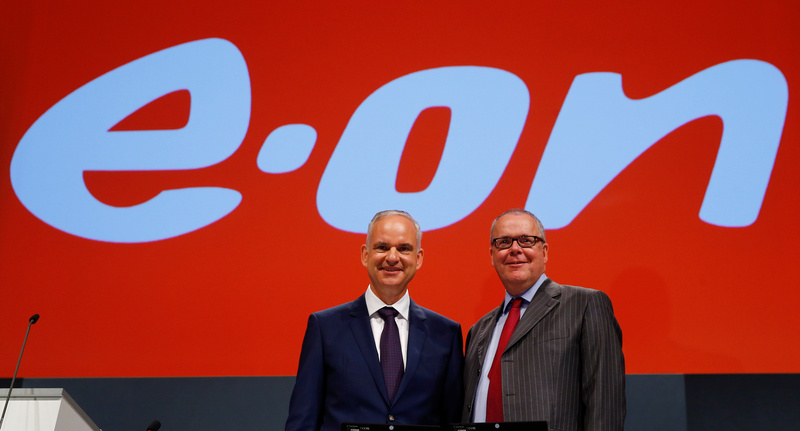 It would create nothing less than a new E.ON, a company fully dedicated to the energy future,” Chief Executive Johannes Teyssen said at the annual shareholders’ meeting in Essen.